Babies, chickens, and goats! Oh my! Guinea-one know what a Guinea Fowl is? 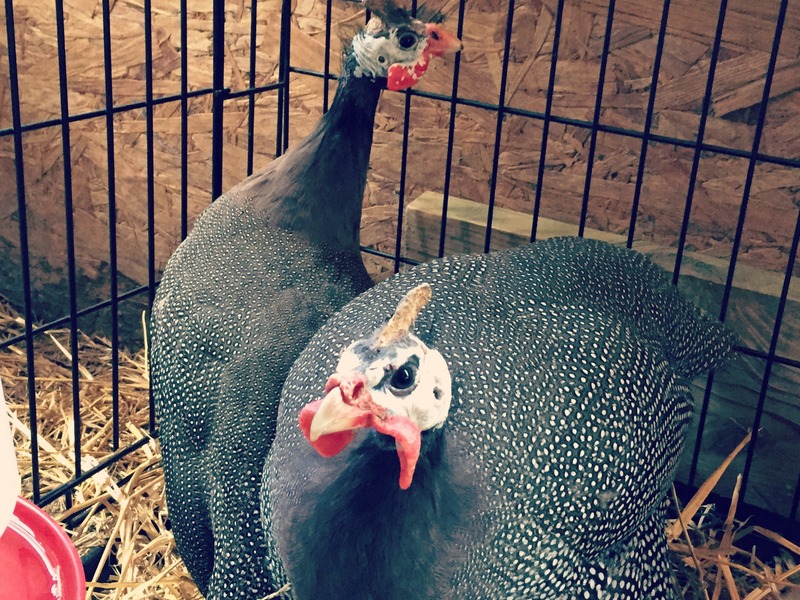 What on earth is a guinea fowl, and an even better question is why on earth do you have them? Guinea fowl are not among the most attractive animals on this planet, but they can serve a great purpose. One of the main perks to owning guinea fowl is pest control. Our property is the home to many, many, MANY ticks! Most of you know that ticks can carry diseases, such as Lyme disease. They also feed on the blood of humans and animals. I can’t stand those little things. After moving here we quickly realized how much of a problem they were. We have found them on our dogs, ourselves, the goats, and in our beds. After the third or fourth tick I found, I started looking for solutions. That’s when I came across guineas! We were already raising chickens so we had the housing and the food (not to mention the ticks) ready for them! Guineas feast on mostly insects, weed seeds, and plants. All of which we have plenty of! Organic farmers often keep guineas on their property to keep pests away from their gardens. It is recommended that you place guineas in an established garden, as they WILL eat the seeds and seedlings in your young garden. Guineas are also good alarms for predators approaching their territory. When hawks, snakes, and other predators approach their area they will sound off their “alarm”. Believe you me, these little creatures are loud! If you don’t believe me, just Google it! These two reasons alone made it an easy decision for us to raise guinea fowl. My husband and I purchased a male and a female in order to breed and raise our own flock. Our goal is to have some living in the area with the chickens and goats and then more living in the fields and woods surrounding our house. In early May the guinea hen started laying her eggs, and after laying about 20 some odd eggs she finally decided to sit. Well, unfortunately, this mama guinea is not a very good sitter. She was up and down frequently throughout the day and never sat long enough to allow her eggs to hatch. We were pretty bummed, but still determined to start a flock of our own. This lead us to buy an incubator. I am currently in the process of setting it up and maintaining the correct temperature for incubation. This process is completely new to me so bear with me! Next, I read ALL of the instructions and set it up exactly as they described. The next step will be to watch the temperature and humidity inside the incubator and then place my eggs! Then its just a waiting game. Eeeek! Well folks, that’s all I have for you today! 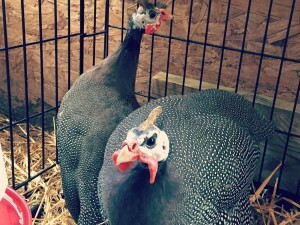 I hope this post was informative and gives you a better understanding what a guinea fowl is. 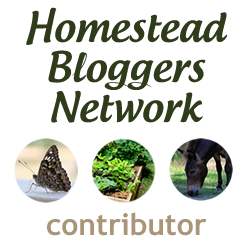 Stay tuned and follow my blog for updates on the process of incubating and (hopefully) successfully hatching guinea keets (aka: baby guineas), as well as other fun events and ideas happening here at the “Harrod Homestead”. Glad you looked into Guinea’s don’t want Annabelle attack by Ticks…..
debbie on Annabelle’s Birthday Bash!